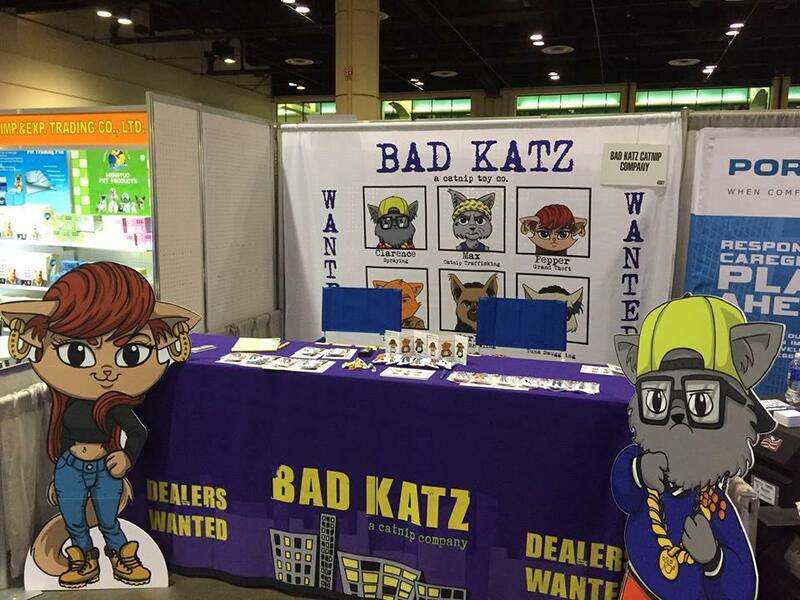 Bad Katz is “… a San Diego-based company that sells premium 100% organic, pesticide-free catnip cat toys. We launched the Bad Katz brand in the late summer of 2014 and we are going to take that boring cat toy aisle by storm!” All well and good, but what caught our eye is their toony advertising art! Bad Katz have hooked up with a local San Diego artist to create a whole line of original cartoon cats (and a dog) to decorate their hand-crafted catnip bags. According to them they just might produce some original comic strips with the characters on their web site, and maybe even some character clothing for humans in the future. But for the moment, only your pet kitty gets in on the fun. Literally! 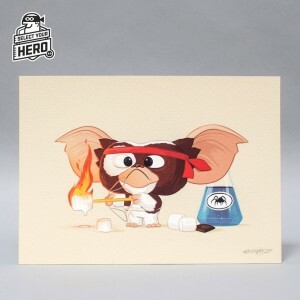 Another toy-and-art centered company — there were so many at WonderCon this year! 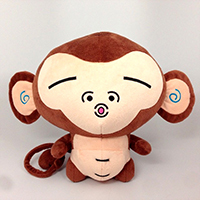 Beefy & Co. specialize in rounded plushy toys, t-shirts with funny animals (and funny other things), and art prints of a decidedly cute nature. 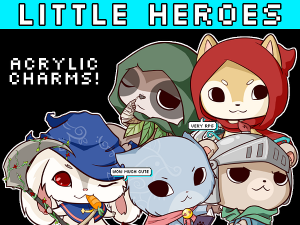 Their official slogan is “Creating joy, one toy at a time.” They’re making appearances at comic book conventions all over the place, but if you can’t wait that long for more cuteness then head on over to their web page right away. image c. 2015 Beefy & Co. Yes you have. Leonard (played by Johnny Galecki) on Big Bang Theory is known for wearing t-shirts designed and created by Nite Owl Ink. And here’s the cool part: They’re a real company and they sell to the public too. 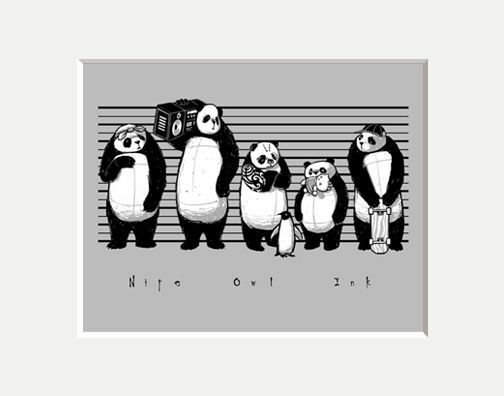 T-shirts, hoodies, and poster prints… creepy animals and creepy other things… and pandas. Lots of pandas. All brought to you by the artist known as Willie Wat. Head on over to their web page to see what we’re talking about. See you on CBS! Tiki Paws have made a name for themselves crafting tropical-themed clothing, toys, and other accessories for dogs. Yes, really — we’ve covered them before. Well now the line has expanded! 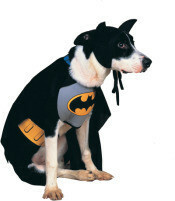 Tiki Paws have grown to include Geeky Paws — a new line of Halloween costumes for dogs, based around any number of fannish themes. Just the thing for when you’re out trick-or-treating and want a little friendly protection along. Check out their web site to see all the latest. Stone cold sober, as a matter of fact… Another animation-influenced graphic designer we’ve discovered is Christopher Lee — no, not that one, though he probably gets that all the time. This Christopher is an artist from Northern California who later moved down south to find work in art and animation. He did, working for graphic magazines like Vapors and Buck. Lately though he’s struck off on his own, creating a line of posters, prints, t-shirts, and even toy designs based on his original art. His web site is called The Beast Is Back, and on that ominous note you should go visit if you want to find out more. Seriously, you’ll see plenty of his art on just the front page. No matter what it is, you can always take it to a new, higher, weirder level folks. Super Angry Birds is a new full-color on-line comic series from IDW and Rovio Studios, giving us a whole new take on (what else?) the Angry Birds universe. 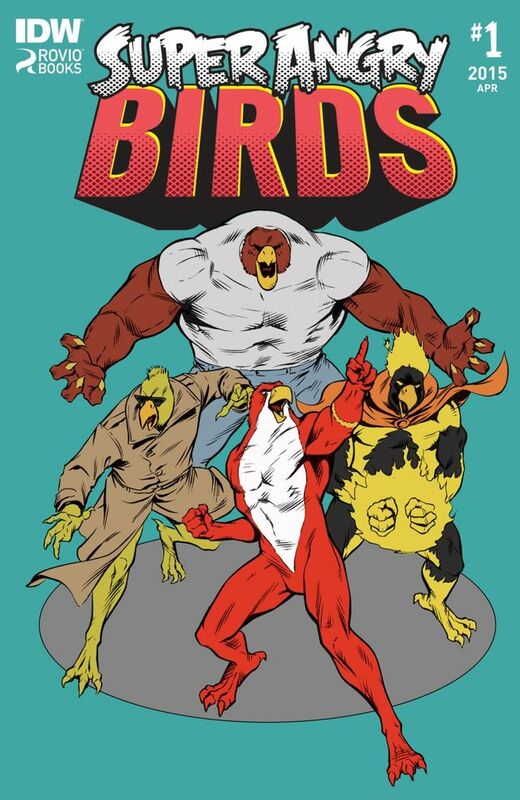 “It’s everyone’s favorite furious fowl as you’ve never seen them before! New Yolk City is your typical bustling metropolis and like every big city it has a dark side. Through lies, deceit and corruption, King Pig and his henchmen have taken over the town and have made life miserable for its citizens. This makes one group of birds angry…Super Angry! 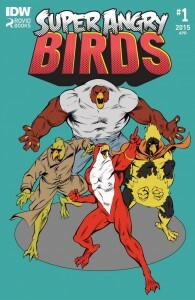 This new group of would-be heroes, with powers beyond mortal birds, fight a covert war against King Pig and his minions. They are the Super Angry Birds!” Told you. Two issues are out so far, so check it out over at Comixology. Beast of Burden Closer to Escaping? A recent article in Variety notes that Beast of Burden is now set to shoot as the first China / New Zealand co-production animated feature film. “Written and directed by Kirby Atkins (Nickelodeon’s The Adventures of Jimmy Neutron), the story sees a species of now-extinct creatures called Thoriphants rebel against their life of servitude to mankind and embark on a treacherous journey.” You may recall that we previously discussed the film on this very web site. As a reminder, we’ll give you the link to Mr. Atkins’ original proof-of-concept short film, which helped him to secure the production deal for his first solo feature. Smart Girl Accessories is a new-ish art collective specializing in t-shirts and other, yes, accessories for the nerdy female… or the stylish male. 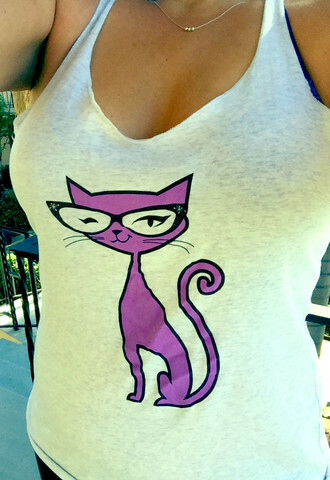 Their official slogan is “Putting glasses on animals since 2013.” Their inventory is small so far but growing, so check them out over at their web site, SmartGirlAccessories.com — or, at a nerdy convention near you, which is where we found them. Call her Riri. Or Riri Mon, perhaps. Either way, she’s an artist who specializes in the chibi side of things… and she’s spun that talent off into Little Heroes, a series of toony acrylic charms for the gamer fan. After a successful Kickstarter campaign they’re now available as key chains, buttons, and other wearables. Not to mention her collection of art prints (many featuring some well-known anime and anime-style characters) and 3D media. Look her up at ririmon.com.